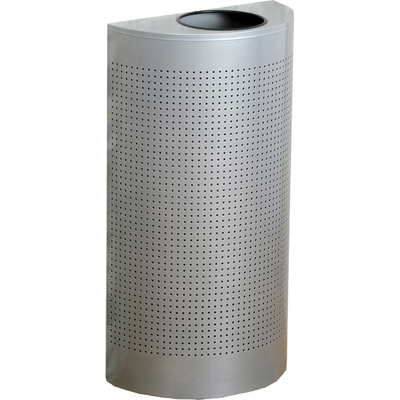 Offers functional litter control in an elegant design. The garbage can has an open top with a vinyl trimmed disposal opening. The trash can is made of fire-safe steel. Its wall-hugging design is ideal for areas where looks are important and space is limited. The lift-off trash can body makes it easier to empty and has a rigid plastic liner that will not leak.